Do you have a special request or concern in regard to our services? 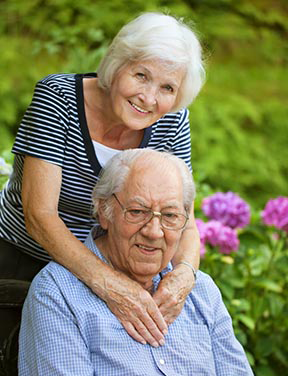 Our highly skilled team is committed to coming alongside seniors wherever life finds them. We address the care of each resident with the utmost respect and compassion. Whether at home, in assisted living, a senior home or hospital, in all circumstances we strive to ensure our clients have increased longevity and the best quality of life possible. • Accommodation for special diets, religious meals, family plans and preparation requests. • Transportation to doctor’s appointments and physican contact. • Assisting with all aspects of daily living, including incontinence care. • Well-appointed daily activities and entertainment. • Education on current issues as they relate to Dementia and Alzheimer's. We look at all activities that our client once did for themselves, and are not capable of doing any longer, and assist in that need. Social interaction is and will remain an integral part of our program, because humans are social beings and will survive longer and enjoy a better quality of life is they are socially involved. • Frequent family and friends’ visitation (this effort highly encouraged by our staff). • The reintroduction of any favored activity or talents that our residents once enjoyed or participated in. • All other social activities that are introduced by families and friends of clients as long and they are in safety compliance.